How many ‘likes’? Does your business have a place on Instagram? The social media revolution has created various platforms for brands to communicate with consumers, and vice versa (Mangold & Faulds 2010), with huge potential to transform e-commerce from a product-centric environment to a social and cuscomer-centred one (Wigand et al, 2008). As of March 2015, Instagram has more than 300 million active users. With 90% of these users being below 35, many brands choose the platform as an ideal way of reaching out to their target audience (Collins, 2015). At just 5 years old, having been launched in 2010, Forrester Research has placed Instagram amongst the most effective marketing tools, alongside Forbes contributors suggesting that it is ‘the world’s most powerful selling tool’. However, in spite of this, just one-quarter of top brands are currently using the platform (Clancy, 2015). With this in mind, does your brand have a place on Instagram? 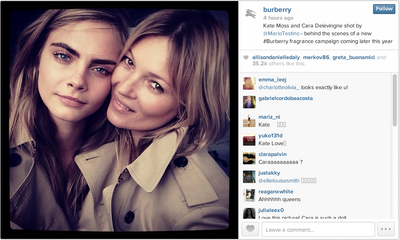 So, which brands are using Instagram effectively? Benefit often feature photos of their customers wearing the brand’s products, consequently increasing consumer engagement and building brand-consumer relationships. 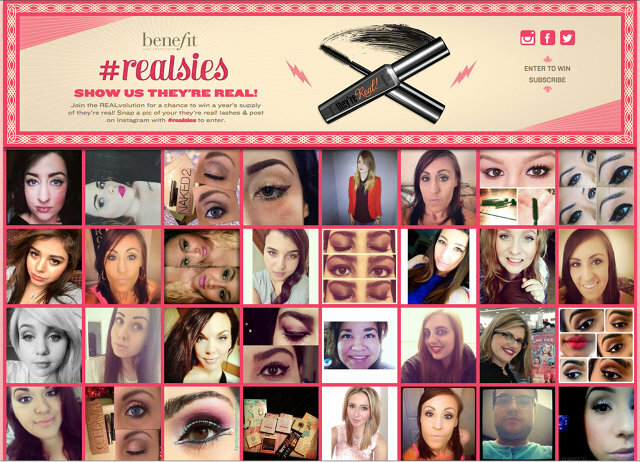 For example, by using the tag #realsies to promote their ‘They’re Real Mascara’, users submitted more than 12,000 ‘selfies’ via Instagram, to which Benefit created a mosaic on a design microsite leading to the product’s page. The brand’s initiative to encourage consumers to tag themselves wearing a new eyebrow product with #benebrow also gathered over 5,000 photos. Perhaps the most successful of all, and in partnership with the anti-bullying ‘Love is Louder’ movement, was #InnerBeauties, in which Benefit enlisted celebrities to spread daily challenges such as ‘post positivity’ and ‘lend a hand’. Benefit’s immense success shows optimal use of Instagram as a platform, inviting other brands to step up to the challenge. Lancôme’s #bareselfie campaign, encouraging women to post photos of themselves without makeup, generated 50% of the sales for its new DreamTone serum. This showcases how the correct and efficient use of social media can have a direct impact on brand’s revenue. With more than 500 photos were posted under the #bareselfie hashtag, this campaign adequately proves how your campaign and/or contest can effectively increase your brand’s visibility on social platforms. As one of the worlds most well known brands, Starbucks boasts an admirable 4.1 million followers. Using the hashtag #WhiteCupContest, the company encouraged fans of the brand to customise their iconic white cups and tag their submissions, to which the winning design would be created and used as a limited edition cup. Receiving more than 4,000 submissions in 3 weeks, Starbucks highlighted the fact they have both loyal and creative customers. Consistently posting photos which capture the brand’s ethos and encouraging their customers to ‘Tag [their] coffee photos with #Starbucks!’, you can presently find well over 20 million photos relating to the brand. With consistent, authentic, and interesting posts, Starbucks is, rather unsurprisingly, at the top of the Instagram game. Other success stories include Red Bull with an impressive 2.5 million followers and Burberry, following suit with 3.5 million followers. However, it is pertinent to note that mere followers alone do not guarantee success, your must actively engage with your audience to ensure a collaborative brand-consumer relationship and consequently benefits to your business. With a mere average of 653 ‘likes’ per post, eBay is drastically behind the likes of Starbucks, Red Bull, and Burberry. Their lack of filters, interesting content, and showcasing of products is likely to contribute to their minimal engagement. Additionally, they provide no regular updates on Instagram, with some of their posts being not only days, but weeks apart. Their audience will quickly become tired and disinterested, as there is no authenticity or consumer-brand relationship. Normal or #nofilter are by far the most popular ways to upload on the platform, but they are by no means the most effective (Harris, 2013). With its filters being arguably the most unique function, it is vital that you choose the correct one in order to give you the highest chance of consumer engagement. As per the graph below, Mayfair attracts on average 23.044 likes and comments, whereas Normal attracts a lower figure of 18.009. Which day should you post? 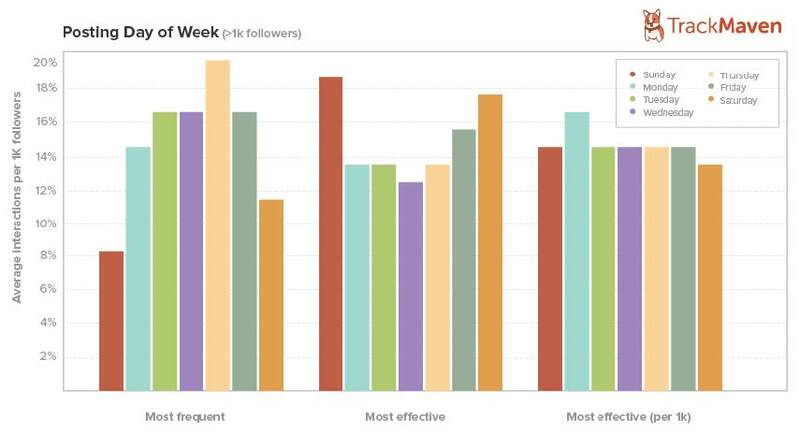 While platforms such as Facebook and Twitter have optimal days to post, Instagram is rather the opposite, with all days receiving similar interactions. By a small majority, Monday attracts the most interactions per 1,000 followers, yet the most frequent day to post is a Thursday. With its mobility, Instagram is inherently a ’24/7′ platform (Harris, 2013) allowing your brand to be present at all times, as the likelihood of your audience receiving and reacting to the content is high. Choosing an effective hashtag is crucial to improved engagement. For example, more than 877 million Instagram posts include the #love hashtag. Additionally, a popular acronym across all social media platforms is ‘tbt’, or Throwback Thursday, commonly used in hashtag form and amounting to over 272 million posts. Unsurprisingly, #happy and #smile also fall high on the list, with 289 million and 212 million posts respectively. As shown above by #bareselfie, #benebrow, and #whitecupcontest, hashtags are a useful tool in creating a viral post, whether it be a contest, promotion, or campaign. Starbucks recently tagged one photo with #Mornings and #SnuggledUp, amassing over 97k likes purely because it advocated the day as ‘national drink your coffee in bed day’. Simple, yet very, very effective. According to a Simply Measured study of the Interbrand 100 (shown below), 83% of all posts by top brands include at least one hashtag, and 21% include more than 5. Importantly, the use of the hashtag allows for an effective and optimal long tail search (Enders et al, 2008). So, what can you do to ensure your brand’s success on Instagram? Create a short, sharp, and easy to remember username – something that truly represents your brand and it easy for potential followers to identify. Add a suitable profile photo which adequately reflects your brand’s image. Link your accounts. For example, if you have Twitter and Facebook, you may share your photos across all platforms in order to take advantage of cross-marketing. Showcase your products, including the correct use of the #hashtag in order to increase engagement. Co-ordinate promotions by promoting exclusive previews of new products or allowing followers to purchase it before the general public (Mangold & Faulds, 2009). Consider which filter to use, with the knowledge that certain filters gain more engagement than others. As an ideal way of promoting customer relationships (Huang & Benyoucef, 2013), Instagram is certainly an effective platform for your business in 2015. Despite many users being of a young demographic, it should be noted that the growth of social media is not limited teenagers, are members of Generation X are increasingly populating the ranks of joiners, spectators, and critics (Kaplan & Haenlein, 2010). With a heavy aspect of personalisation and the opportunity to converse with consumers, Instagram provides a fantastic way of gaining feedback, offering promotions, and heightening excitement about a particular brand or product. Building your brand on Instagram may take time, but the rewards will soon come flooding in, as highlighted by the many examples above. 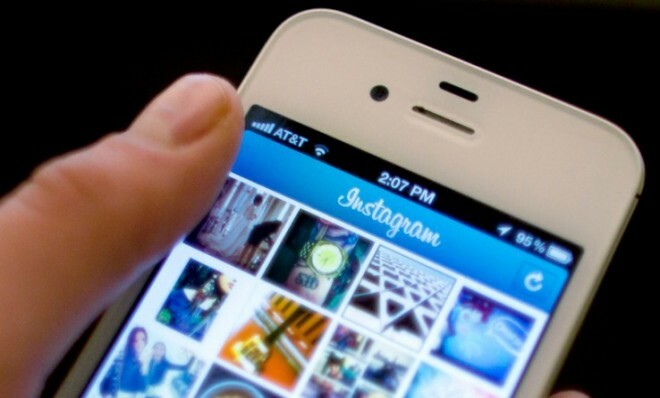 Austin, C. These 20 Brands Have Mastered The Use of Instagram. 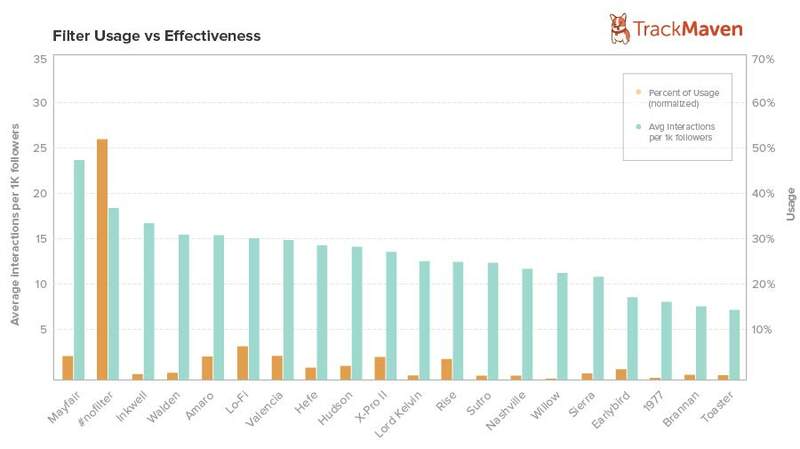 [Online] Available at: http://www.businessinsider.com/these-20-brands-have-mastered-the-use-of-instagram-2013-1?op=1&IR=T [Accessed 20 March 2015]. 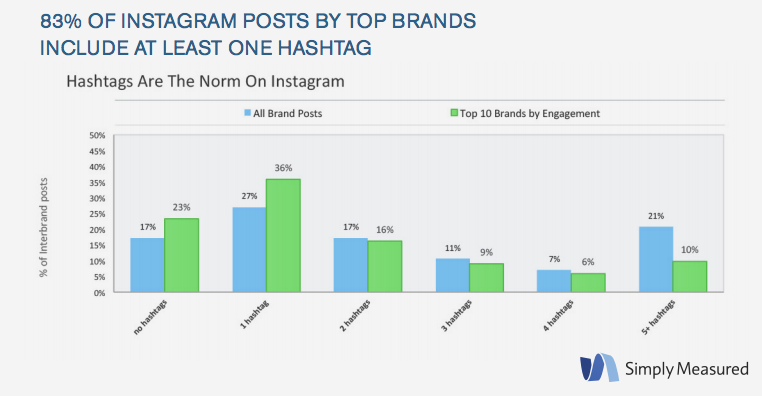 Clancy, H. Just one quarter of top brands use Insagram: analysis. [Online] Available at: http://fortune.com/2015/03/23/few-brands-use-instagram-report/ [Accessed 20 March 2015]. Collins, M. How To Use Instagram To Promote Your Business. [Online] Available at: http://digitalmarketingmagazine.co.uk/social-media-marketing/how-to-use-instagram-to-promote-your-business/1821 [Accessed 20 March 2015]. Enders, A et al (2008) The long tail of social networking. European management journal. Vol 26 (Issue 3), p199-211. 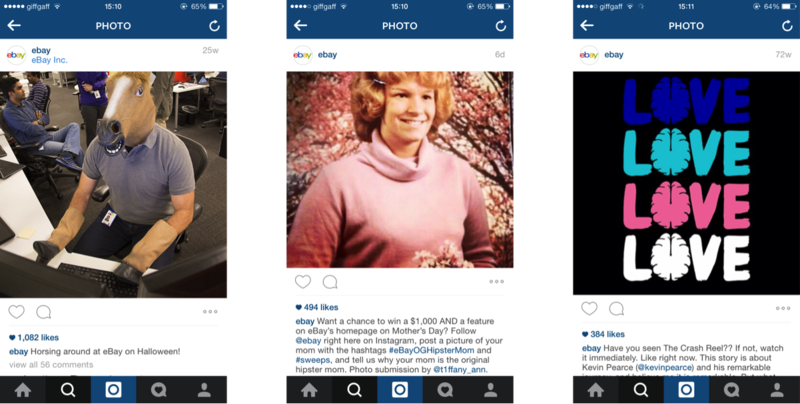 Gibson, R. 14 Best Instagram Campaigns of 2014. [Online] Available at: http://www.postano.com/blog/the-14-best-instagram-campaigns-of-2014 [Accessed 20 March 2015]. Gillett, R. How The Most Successful Brands Dominate Instagram, and You Can Too. [Online] Available at: www.fastcompany.com/3029395/bottom-line/how-the-most-successful-brands-dominate-instagram-and-you-can-too [Accessed 20 March 2015]. Huang Z & Benyoucef, M (2013) From e-commerce to social commerce: A close look at design features. Electronic Commerce Research and Applications,12(4), 246-259. Kaplan, A. M., & Haenlein, M. (2010). Users of the world, unite! The challenges and opportunities of Social Media. Business Horizons, 53, 59 – 68. Longacre, K. 5 Brands with Highly Successful Instagram Marketing Strategies. [Online] Available at: http://www.skyword.com/contentstandard/enterprise-marketing/5-brands-with-highly-successful-instagram-marketing-strategies/ [Accessed 20 March 2015]. Mangold. W. G., & Faulds, D. J. (2010). Social media: The new hybrid element of the promotion mix. Business horizons, 52(4), 357-365. 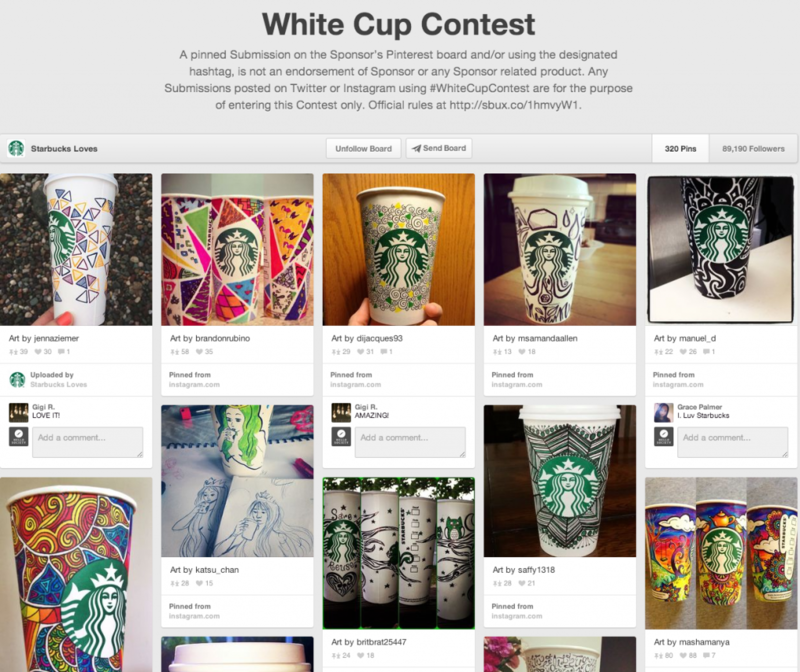 O’Connor, C. Starbucks And Nike Are Winning Instagram (And Your Photos Are Helping). [Online] Available at: http://www.forbes.com/sites/clareoconnor/2014/02/13/starbucks-and-nike-are-winning-instagram-and-your-photos-are-helping/ [Accessed 20 March 2015]. Pilon, A. Top 25 Brands You Should Follow on Instagram. [Online] Available at: http://smallbiztrends.com/2014/11/top-25-brands-you-should-follow-on-instagram.html [Accessed 20 March 2015]. Shapiro, A. 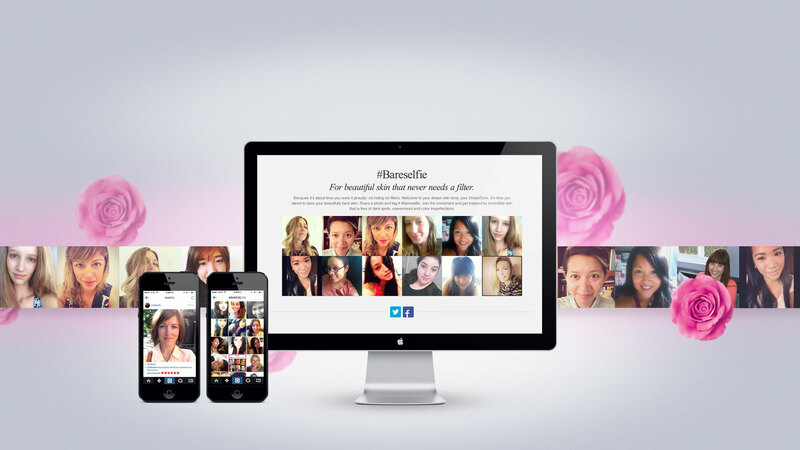 #BareSelfie: Lancome Asks Its Insagram Followers To Bare All For Beauty. [Online] Available at: http://www.bustle.com/articles/4256-bareseflie-lancme-asks-its-instagram-followers-to-bare-it-all-for-beauty [Accessed 20 March 2015]. Walter, E. 5 Brands Using Instagram to Interact and Build Fan Relationships. [Online] Available at: http://www.clickz.com/clickz/column/2299432/5-brands-using-instagram-to-interact-build-fan-relationships [Accessed 20 March 2015]. Wigand, R. T., Benjamin, R. I. and Birkland, J. L. H. (2008) Web 2.0 and beyond: implications for electronic commerce, Electronic Commerce ACM New York. This entry was posted in bbsdigimarket, Business, Digital Marketing, Instagram, Social Media. « Is your business using the power of Facebook to its full potential? With only 2% of brands making it to the YouTube Elite, do you stand a chance? Is your business using the power of Facebook to its full potential? From personalised design to infinite content, is Twitter an effective platform for the 21st Century business? Choosing the right social media platform to promote your business: One, Two, or all of them? Sheine Bosh on Choosing the right social media platform to promote your business: One, Two, or all of them?